Not About Dallas Bail Bonds! As I’ve stated many times before – being in the Dallas Bail Bonds industry makes me pay a bit more attention to crime stories. Sometimes I just see stuff that strikes me as funny. 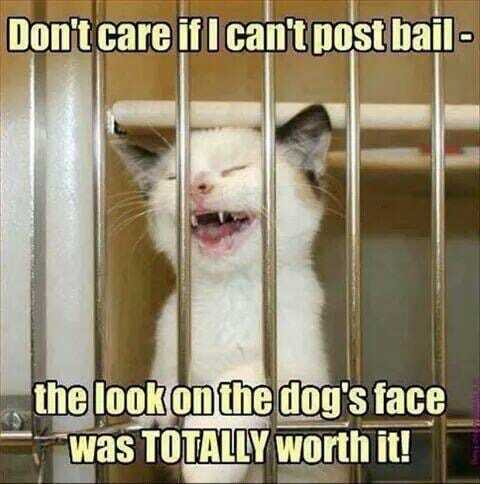 At Southern Bail Bonds we take our efforts very seriously, but sometimes we all have to take time to smile. Here are a few stories we found interesting! Yes, the police are here to protect and serve! Even for the screening of contaminated drugs before you use them. Yes, that happened. Officers at a department in Central Texas reported a fake story on crystal meth tainted with the Ebola virus on Facebook. The department requested anyone who had purchased heroin or crystal meth in Texas recently to bring it to the police for a special screening on Ebola contamination before use. And guess who fell for the story? Chastity Eugina Hopson. The 29-year-old drug user saw the story and was afraid that she might have contaminated meth that would be dangerous to her health. So being the concerned citizen she is, she contacted the police to get her meth tested. That trip ended with an arrest and a charge of possession of a controlled substance. Who’da thunk?? When you are wearing a GPS fitted ankle bracelet while committing a crime, you should forget about criminal activities altogether. In Somerset, Massachusetts a woman was arrested for breaking and entering. How was she caught? The police just tracked the GPS fitted ankle bracelet she was wearing. How did she get the ankle bracelet? From the police, for being on probation for a prior breaking-and-entering case. Sometimes you go shopping and the attendant tells you the product you wanted is not yet available. So you leave your number so that they can get back to you when it arrives. Smart, right? Well, a certain robber thought that would be a smart idea too. Ruben Zarate, an 18-year-old male went into a Chicago muffler shop with the intention of robbing it. But there was just one problem, almost all the money was locked away in a safe. So what did he do? He gave his personal phone numbers to the store’s employees. So that they could give him a call just in case the manager returned with the key to the safe. That way he could go back and complete his robbery successfully. He successfully got himself arrested. Not so smart after all. What do you do when you want to rob a drug store? You pull out your gun, you announce it’s a robbery. And you go ahead to put on a mask to hide your face. In Baltimore, a man followed this successful recipe for a drug store robbery. Except his facemask had a little bit of a problem. It was a hefty bag and he had forgotten to cut out the eyeholes for his mask. He was quickly arrested by the security guards. When it is your time to leave earth, you may want to go out with a clean conscious by confessing a few wrong things you did and asking for forgiveness. Well if your confession is a 17-year old murder, you might just want to go with it to your grave. But James Washington of Nashville didn’t think so. On getting a heart attack, he decided it was about time to confess to the murder he committed 17 years ago. That would have been going out with a clean conscious. If he died. He didn’t. He survived the heart attack and got sentenced to life imprisonment. It’s kind of hard to dispute a confession! Enjoy your weekend, and remember, if you need us we’re here! Call us at 214-372-2500.